Instagram users who might want to do more than "like" a photo will now be able to save those posts for later. The Facebook-owned app has a new bookmark feature that allows users to save posts in an additional private tab within their profile. Starting today, users can press a bookmark button in the lower right-hand corner of a post. "For Instagrammers stumbling upon a business they want to remember, a new product they like, or a memorable ad, they can now keep track of favorite posts right from their profile," according to an Instagram blog post announcing the update. 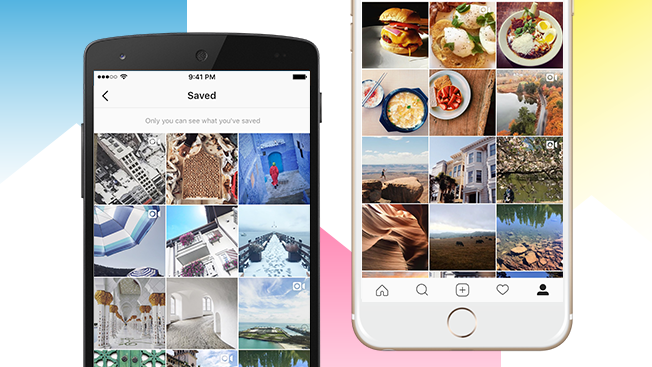 The selection of saved Instagram photos can be accessed from the user's main profile page, and when enough are collected, the saved feed looks just like a user's personal feed of photos. (However, photos that users save will be private.) And while it makes the process a little smoother than a screen shot, it still doesn't allow users to save an actual photo to their own phone. Users don't receive a notification if their photo has been saved by another user. The most logical comparison would be Snapchat's "Memories" feature that debuted in July as a way to save snaps to a user's Snapchat account. However, Instagram is also not last to the saving game. As Recode points out, a few other apps—namely Pinterest and Twitter—could really use a "save for later" button as well.